With all the warm weather we’ve enjoyed this fall, it is hard to believe that Thanksgiving is only a couple of days away. As the holiday season rapidly approaches, we want to thank our members for their support and everything our they do to help promote beekeeping throughout the state. 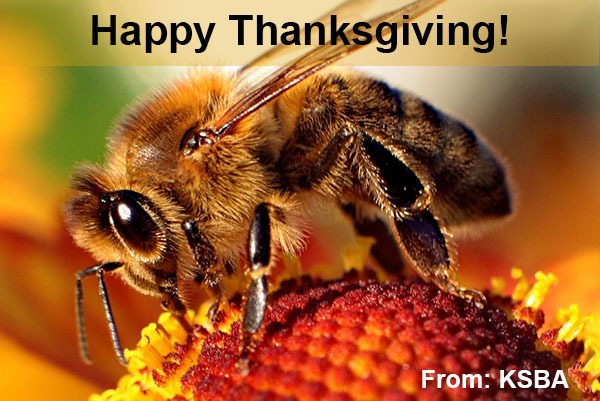 KSBA wishes all of our friends, members, and fellow beekeepers a happy Thanksgiving!